We’ve time-shifted the lyrics of a traditional festive song and plundered the larder of possible futures to present you with one future a day for 12 days. An assortment of both near/likely and far/fictional futures to say ‘Happy Holidays’ to friends, clients, supporters and audiences, and to once again openly declare our love for the future-focused thinking inherent to science, technology and science fiction. 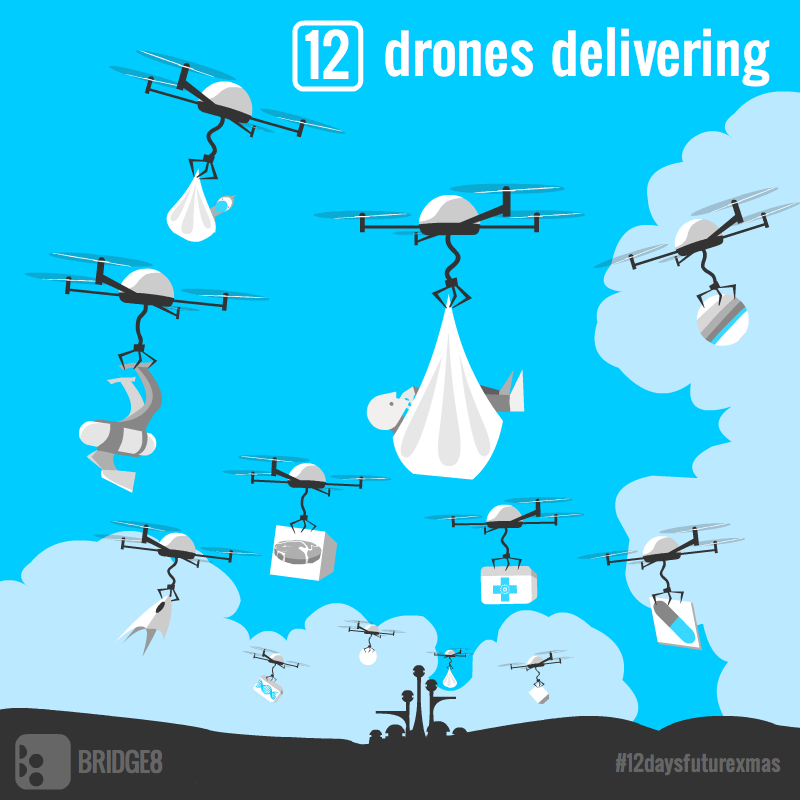 And what better way to deliver all these gifts of possible futures than by drone. The US already has police and government agency drones in the air. Civilian applications should follow in the US and elsewhere in the next few years. Delivery flight test sites will be operational this year. In the last few years the best way to remind yourself that you were living in The Future was to check the handheld computer in your pocket. Soon you may prefer to look up to see your incoming robotic helicopter postman. 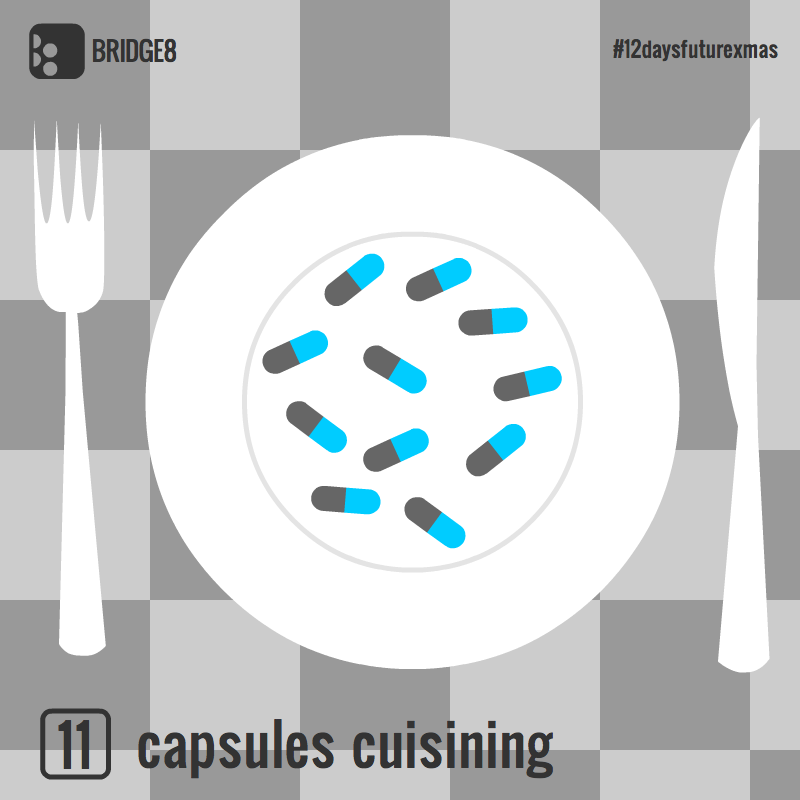 Food in pill form was initially proposed as a flight of fancy that one day might end kitchen drudgery. Sadly the idea also seems to require that eating no longer be enjoyable. Yet despite this the dream of encapsulated food has been kept alive by NASA’s desire to feed astronauts in zero-G; athletes keen to easily scoff a fistful kilojoules on the run; and the eccentrics need to maintain optimal nutrition without messy human things like shopping, cooking and human conversation. Kepler Telescope data suggests our Milky Way galaxy contains tens of billions of Earth-like worlds (the specific estimate is 40 billion though that figure is a little rubbery). 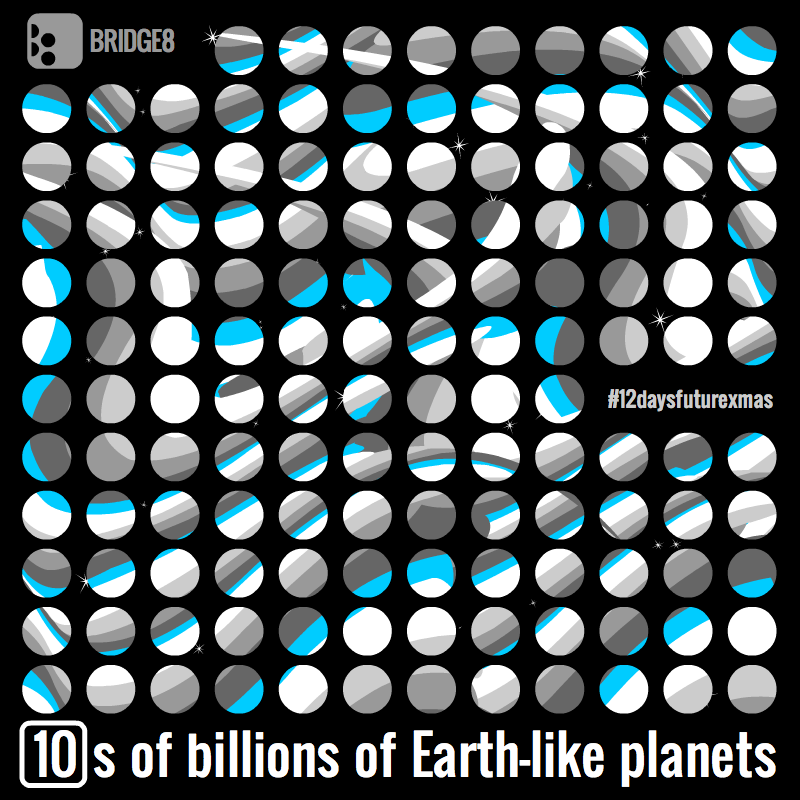 40 billion chances that life evolved elsewhere. And that’s only locally. The Milky Way is just one typical galaxy among hundreds of billions of galaxies in the Universe so with tens of billions of Earth-like planets in each galaxy, our entire universe must contain billions of billions of Earth-like planets. So at some point in the Future, we’ll be meeting the neighbours- whether they’ll be god-like overminds or pond slime is another question altogether. Using methods less flawed than those posited in Jurassic Park, it’s rapidly becoming possible to de-evolve descendants of extinct organism through selective breeding (e.g. 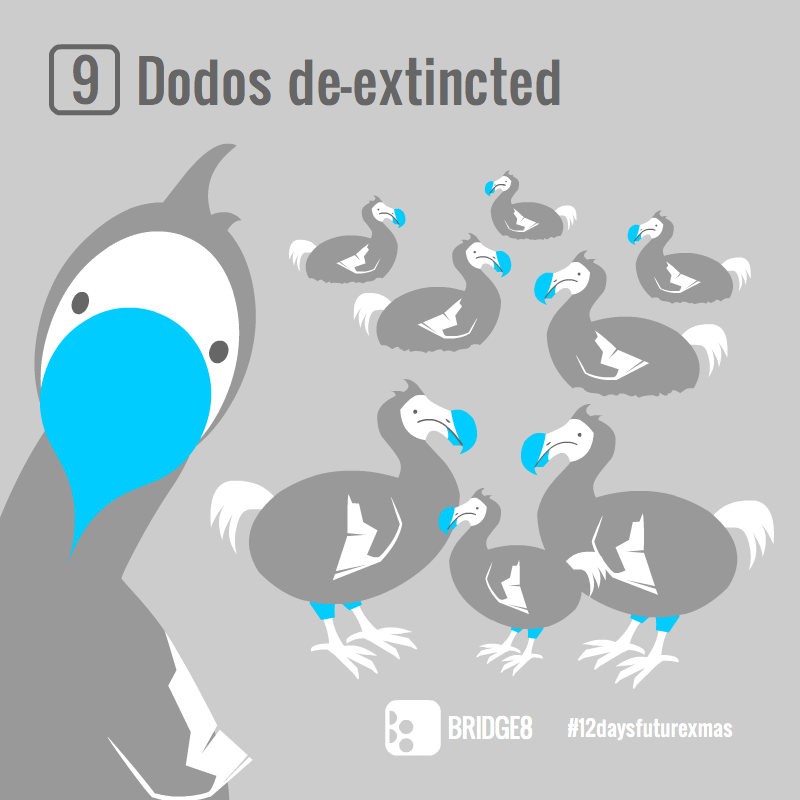 from chicken to more dinosaur-like protobird or more easily the auroch from modern cattle) or to clone the more recently extinct by using related organisms as surrogates (e.g. a mammoth gestated in an elephant). Some suggest stopping rampant habitat loss, which continues to send modern species extinct on a regular basis, might be a more worthy endeavour. Robotic research claims by attempting to recreate ourselves we better understand how human subsystems function. Or is it more a goddish desire to create intelligent beings in our own image? Certainly tales of artificial people start in our earliest history/mythology and carry through to our most popular, modern speculative fiction. So far humaniform robots can walk, run and play soccer on their own (more or less). Perhaps this century will give robots computing power and complexity sufficient for them to be deemed self-aware. 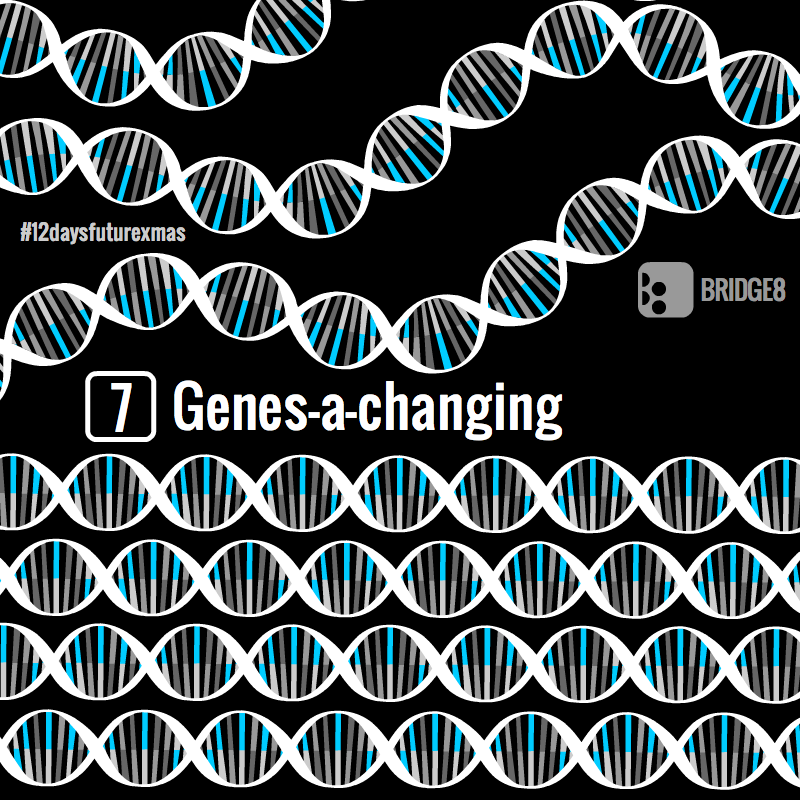 Whether it be the genes you inherited or the mutations you acquired determining your health and lifespan; the possible (or perhaps halted?) evolution of the human species; or our increasing ability and willingness to edit ourselves and the organisms around us, genes are now and forever will be an integral part of our futures. 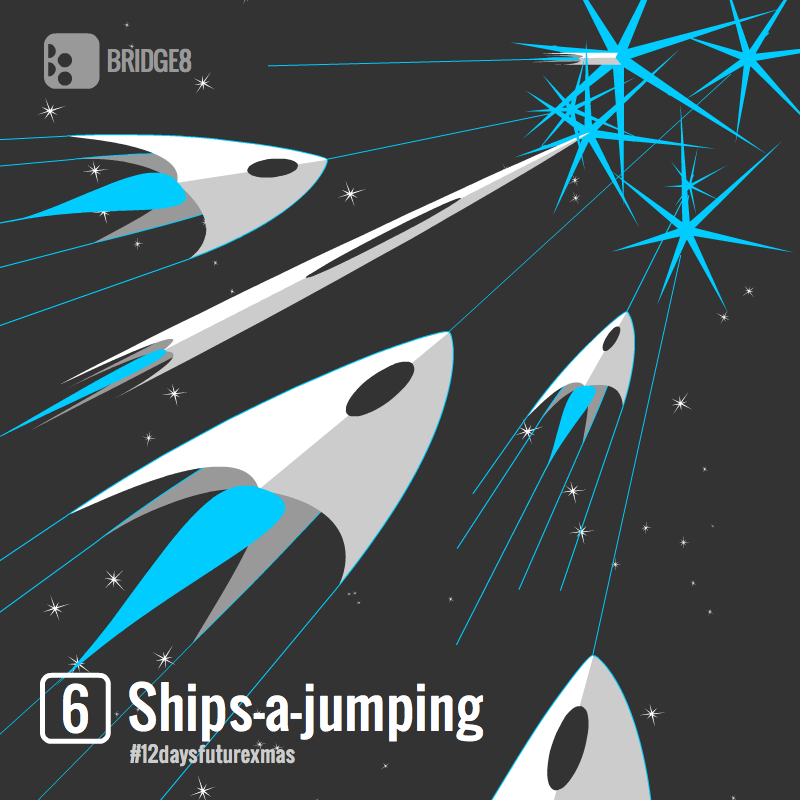 Faster than light travel is the mainstay of just about any science fiction which involves spaceships. Without it, journeys through the cosmic vast are horribly slow and multigenerational. The problem is that our current understanding of physics suggest that as you near the speed of light the energy required approaches infinity. But don’t give up hope. NASA is on the case, attempting first step, proof of concept experiments with photons. 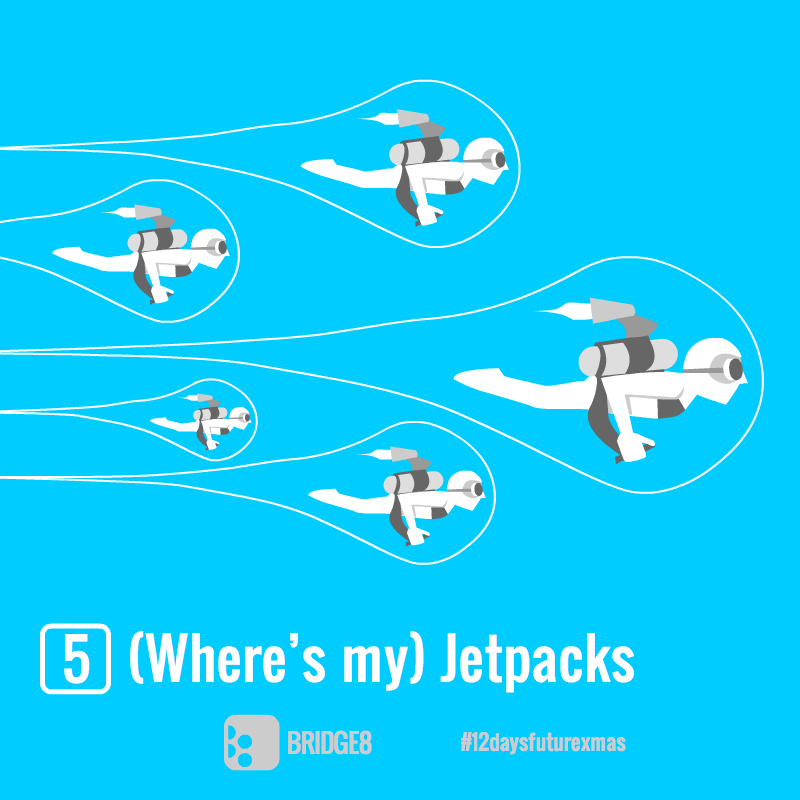 Despite cries of internet disappointment, jetpacks, rocket belt or rocket packs have existed since the 1960s. The principle road (sky?) block to their widespread uptake appears to be the frailty and general unairworthiness of the human body (not to mention rare and dangerous fuel and the nightmare of policing civil airspace full of rocket powered people). The military deems helicopters far more efficient. If you want one, look up the plans and start building. Also apologies to the the hoverboard and flying car aficionados who were competing for this spot. Maybe next year. Neural prostheses like the cochlear implant (bionic ear) have been in use since the 1980s. 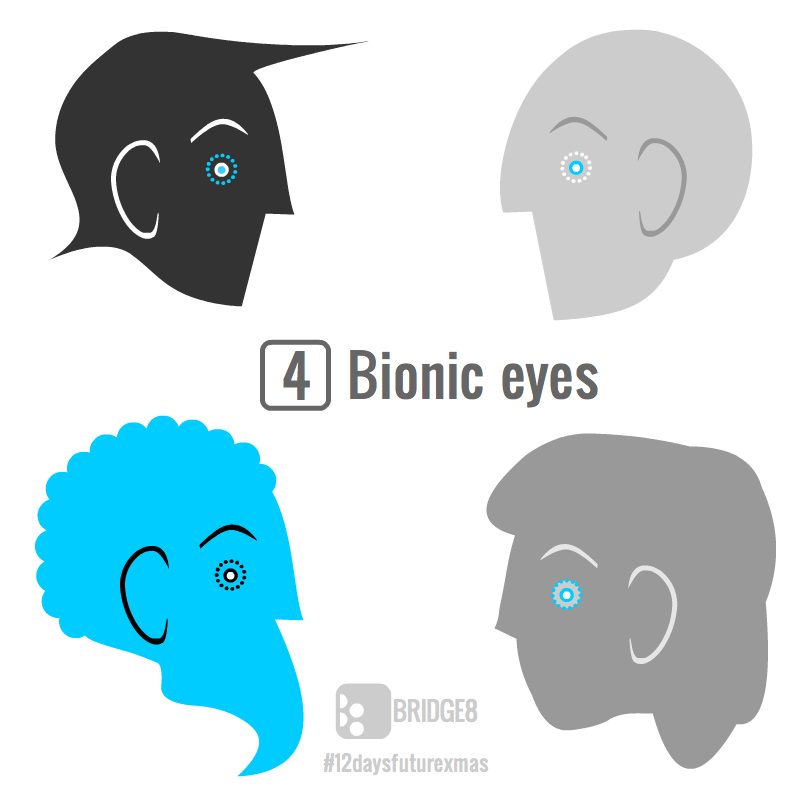 Much bionic eye research follows a similar direct neural stimulation approach. There are at least 14 bionic eye projects currently in development and testing worldwide. The first Google-founder-funded, lab-grown burger was cooked & eaten earlier this year in the UK. 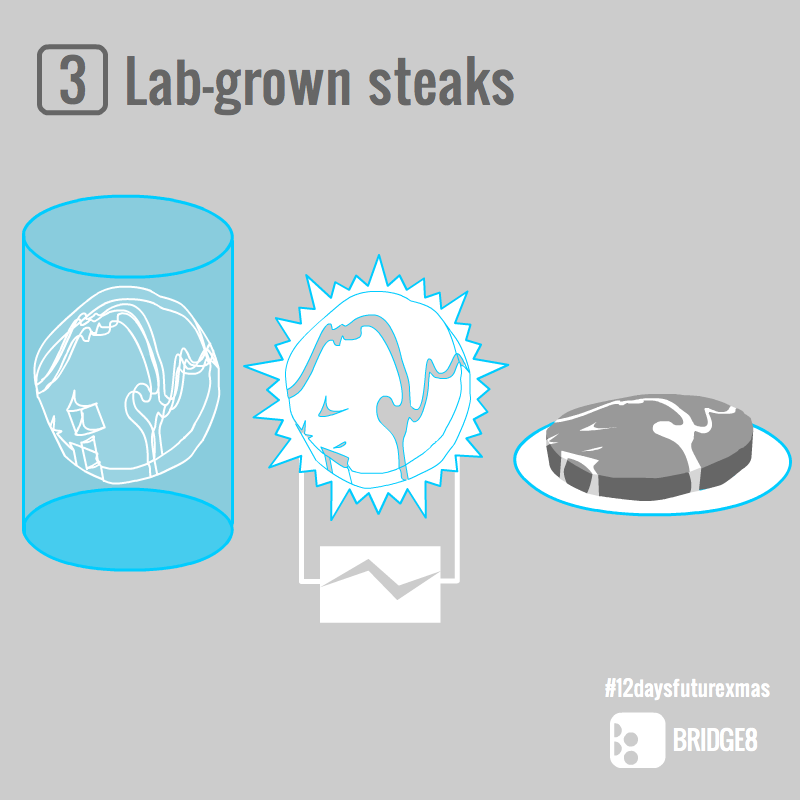 Actual everyday, stocked-in-supermarket-fridges lab-grown meat remains some way off. Humans first talked about a moon base in 1638. So far not so much. 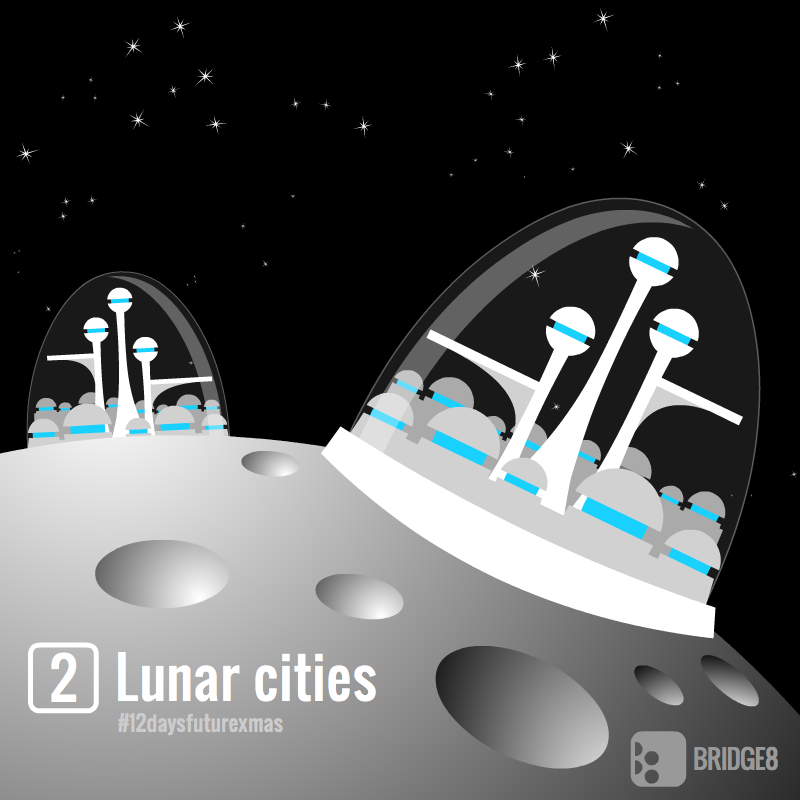 Japan and Russia both plan to have a Moon base by about 2030. 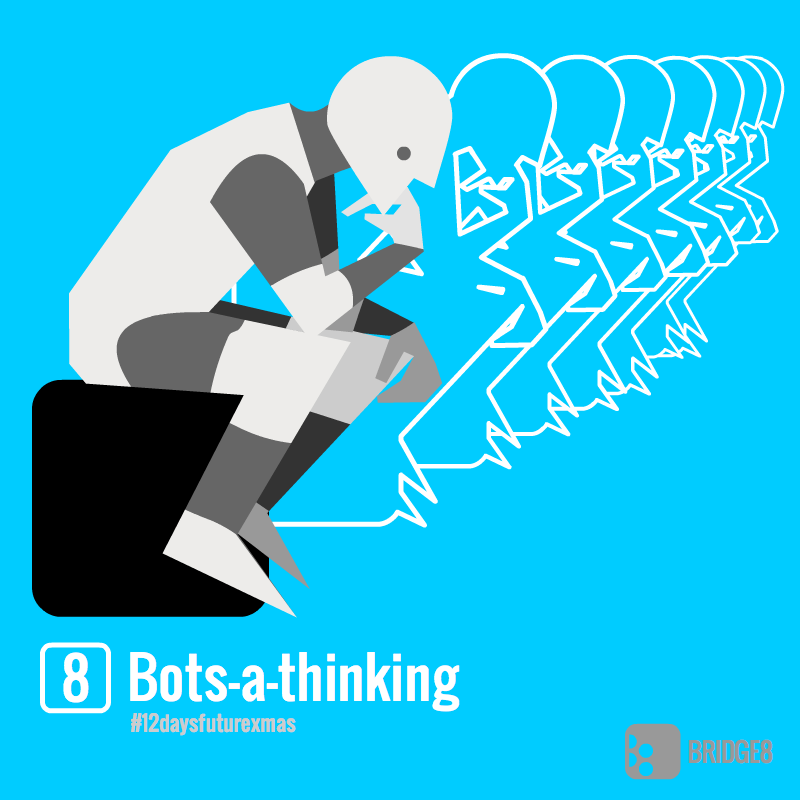 The Singularity is when AIs (artificial intelligences) get smarter than us. 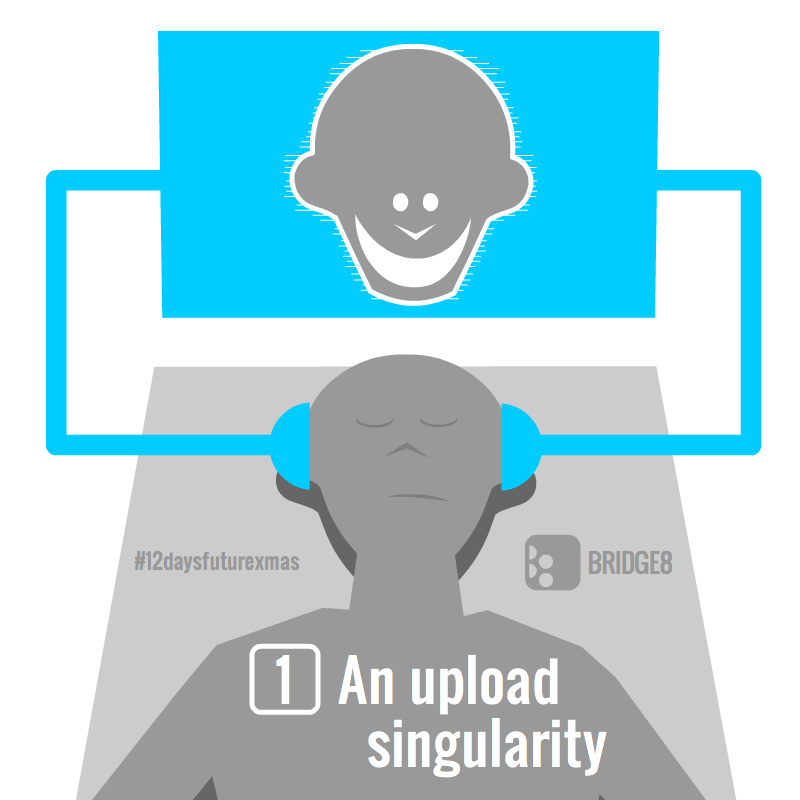 One version of this scenario is that eventually the whole human brain is so accurately/successfully emulated, that human consciousnesses can be fully uploaded into computers and we ourselves become the AIs. [In case you didn’t pick up on it, this series appropriates the rhythms and structure of “The 12 Day of Christmas”, a cumulative Christmas carol detailing 12 days of increasingly over-the-top, medieval-themed gift giving. This gifting period was the way Christmas was originally played out (and still does in some places) and was a festival the Christians borrowed from the Roman Saturnalia and the Pagan European Yule. All are more or less winter solstice celebrations (“half way out of the dark” as Doctor Who writer, Stephan Moffat, wonderfully puts it).